"Dr. Morgan is an awesome Obgyn. I highly recommend him." "Dr. Morgan is a fantastic doctor who explains everything in understandable terms." "Dr. Morgan is a great doctor! Highly recommend." Abour Dr. Frank G. Morgan, Jr.
Frank G. Morgan, Jr., MD graduated with his undergraduate degree at the University of Richmond, earned his medical degree from the Medical College of Georgia, then completed his residency at Eastern Virginia Medical School. He continues to stay active in education as a member of the clinical faculty at Eastern Virginia Medical School and as a Fellow of the American College of Obstetrics and Gynecology. 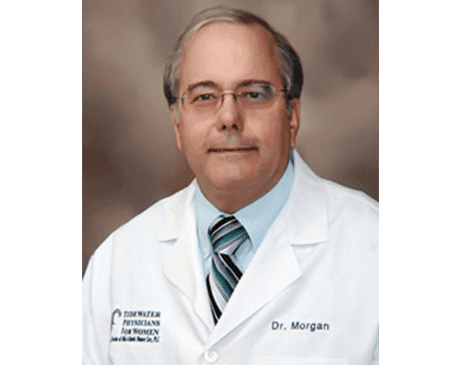 Dr. Morgan has dedicated his career to helping women maintain optimal health as they transition through life. He’s offered care from early adolescence, through pregnancy and delivery, and beyond menopause. Women in the region rely on his sharp medical expertise and trust his concern for their health and wellness. When he’s not seeing patients, Dr. Morgan, who is the proud father of two sons, enjoys golf, baseball, and listening to audio books.